All of this handy little gift set ensures you are cutting down on single use plastic. 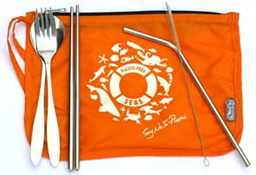 The bright orange zippered bag contains stainless steel cutlery including a fork, spoon, chopsticks a straw and cleaning brush. 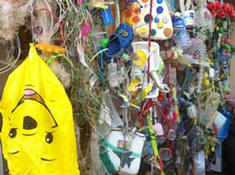 All fabric is proudly made by Chicobag from recycled plastic water bottles. The reusable cutlery set costs HKD $110 and all money raised from sales supports the waste reduction education programs of Plastic Free Seas in schools and the community. Plastic Free seas is a Hong Kong based non-profit organization dedicated to advocating change in the way we view and use plastics in society today. 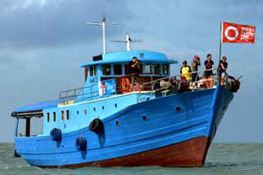 Thank you for supporting Plastic Free Seas with this purchase.